The Senior Gupta was editor of the newspaper TRIBUNE in Lahore. Obviously such journalists had a lot of clout even in those days. He got his son appointed as the Assistant Vice Principal of Mayo School of Arts. To his various credentials were three piece suits as well as the knowledge of the French language. He had also written some articles in Modern Review Calcutta. A student of the Bengal School, he tried to initiate the Water Colour wash in his discipline. To the best of knowledge of people, he started Drawing classes at the Mayo School of Arts. Was Gupta serious in his teachings? Obviously not. Imparting techniques to the people of Punjab especially Muslims disgusted him. 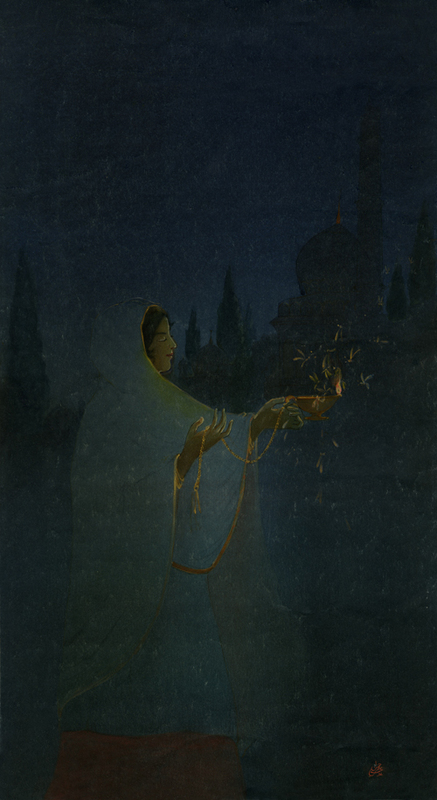 Abdur Rahman Chughtai had found out already that the Bengal School used RAGS in Water colour wash technique. A set of Japanese brushes came for sale at the School. Worth about Rs Two, those were beyond the reach of most. A young boy invested heavily in buying these very expensive brushes. 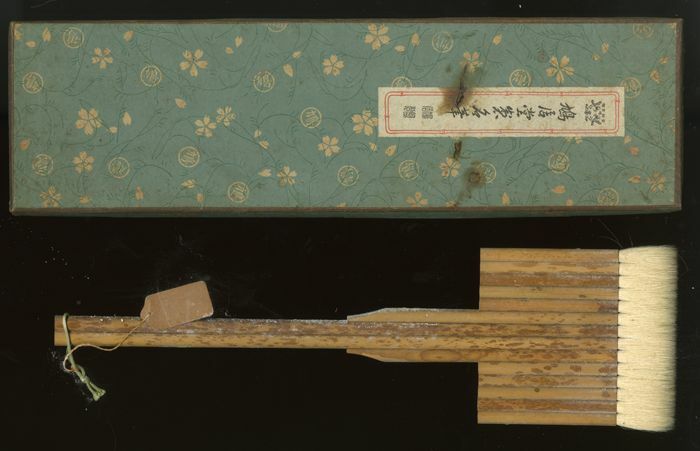 Today the same brushes are no longer manufactured in Kyoto and the ones already there, are worth thousands of dollars each. Abdur Rahman Chughtai after getting his diploma from Mayo School of Arts in PHOTO-LITHOGRAPHY, was teaching on a Drawing Master post at Gujranwala, Mission High School. 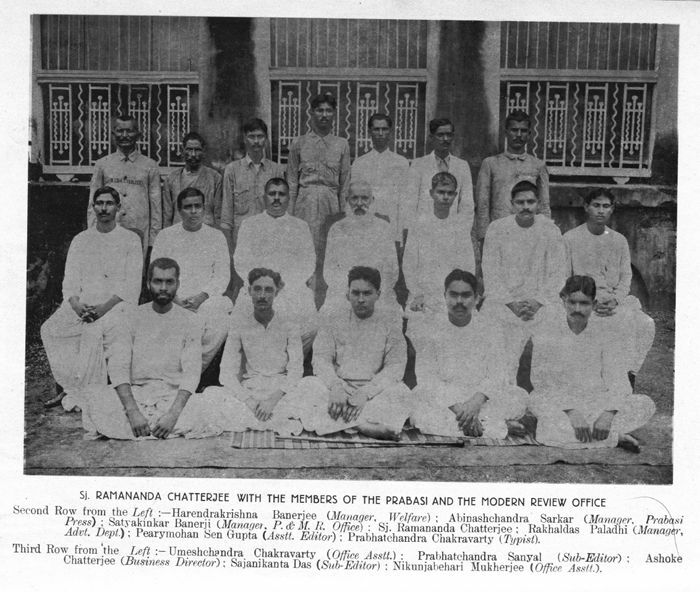 The Principal Mr Chatterjee was very friendly being a Christian and there were many famous scholars teaching there, including Muhamed Iqbal as well as Muhammed Nazim, writer of the famous book on Mahmud Ghaznavi. He suggested the artist to get his works published in Modern Review Calcutta as the Editor Ramananda Chatterjee (same family name) there was well known to him. 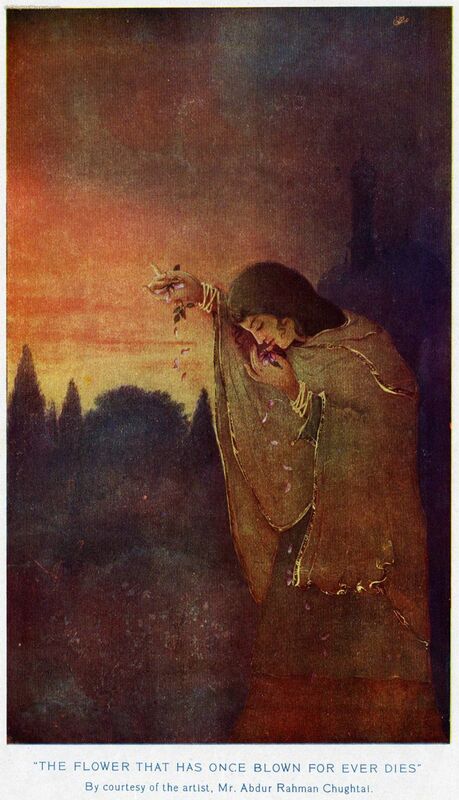 The artist volunteered two paintings on Omar Khayyam. The first one was published in Modern Review Calcutta in January, 1917. The second one in February, 1917. This enraged Gupta to a great extent. 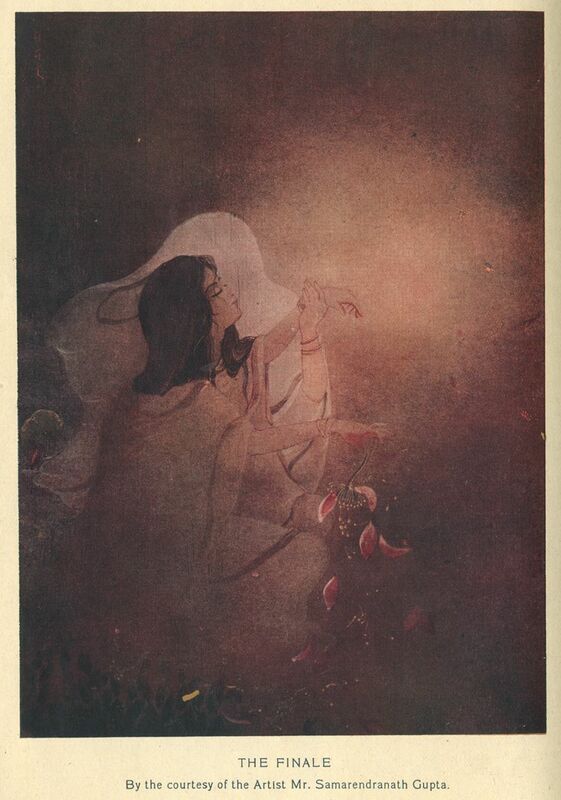 To nullify the works of Abdur Rahman Chughtai, he made his own version of the work, which was published in Modern Review in May, 1917. Credit should be given to Gupta for getting his best talents out in making this version, but a Senior teacher was competing against a Young student teacher. There are vast differences between the two works and the same are as clear a TWO NATION theory as can be expressed in any terms. But that is a separate discussion. The real emphasis is who made the theme first and who did it afterwards, and the publication dates clarify that in a clear way. Samarendra Gupta hated M.A. Rahman Chughtai by instinct and did everything possible to make life hell for him. The acrimony of the painting POISON CUP between Inayatullah and M.A. Rahman Chughtai was generated by him. The resignation from the Mayo School of Arts had him behind the campaign. He had reported Chughtai at a Drama show when he was supposed to be on sick leave. It was the kind of dislike which even comes out in photographs all the time. The reputation of Gupta is no more, while Abdur Rahman Chughtai shines in the world of International Art all the time. Who won, who lost? Prejudice gets you nowhere. Gupta could not cope with water color wash technique and finally gave it up. It is rumored that many of his water colors were done by other members of Bengal School, perhaps even Mukul Dey. Yes, Abanindranath’s water-colour wash technique was his own technique & that completely differ from Japanese wash. So most of his puples couldn’t cope up, even Sri Nandala Bose. You forgot the important name of E.B. Havell in it. 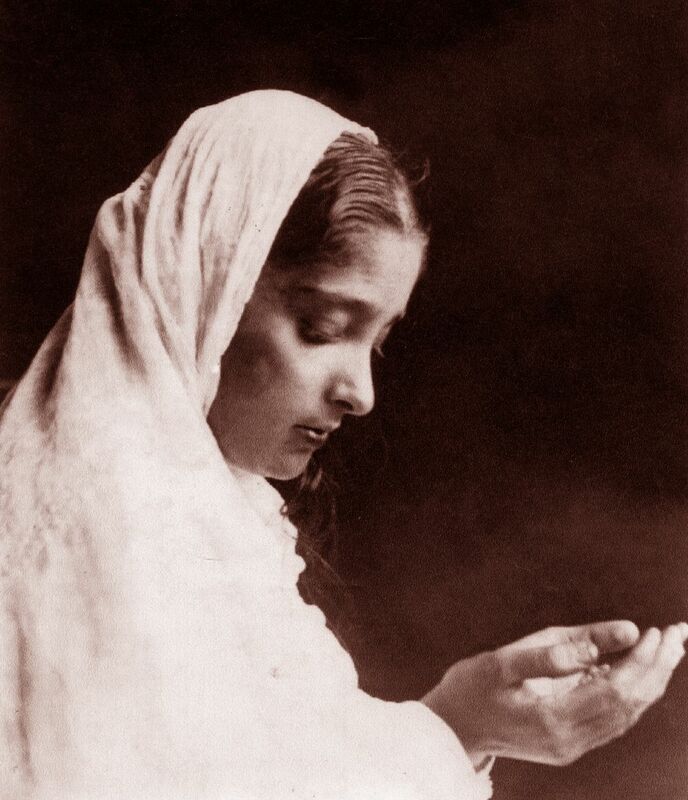 Recall the person who initiated Abanindranath into Art! In any case I am pleased that you spoke the truth. Rare on internet.